Happy 4th of July! 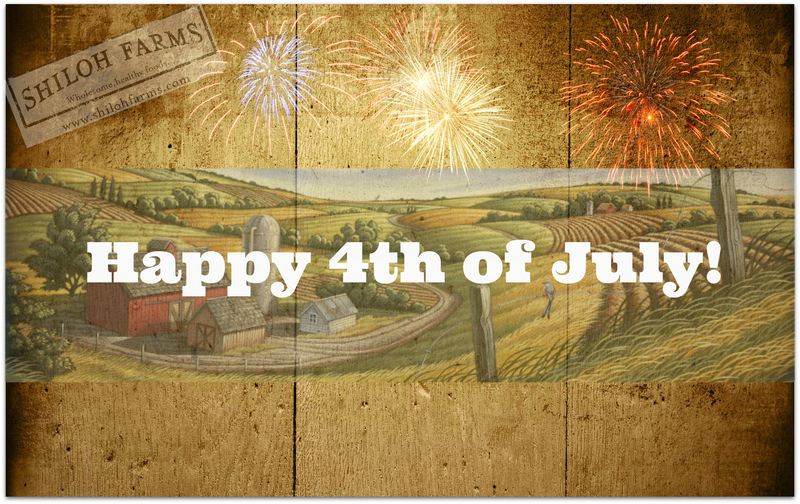 Celebrate with Organic Red Quinoa Burgers! Independence Day is one of the biggest barbecue days of the season. With so many summer barbeques on the calendar, how do you make this one stand out from the rest? Try offering your guests our Organic Red Quinoa Burger! Sauté finely chopped onions over low heat with 2 tbsp. of olive oil until transparent. Turn up the heat and add mushrooms. In a separate saucepan, add two cups of water and one vegetable bouillon cube and bring to a boil. Add Quinoa, cover and simmer for 10 minutes or until Quinoa is fluffy. In a large mixing bowl add oats, beans, egg whites and salsa. Add cooled quinoa and mushrooms. Mix thoroughly. Form the mixture into individual patties. Bake for 8 minutes then flip and bake for an additional 6 minutes. ← Heat up your cool summer nights!